Today I have a card and video on the Hero Arts blog. In it, I share an idea of how to combine their new Color Layering Stamps with their gorgeous Ombre Inks. And here's the card I created. 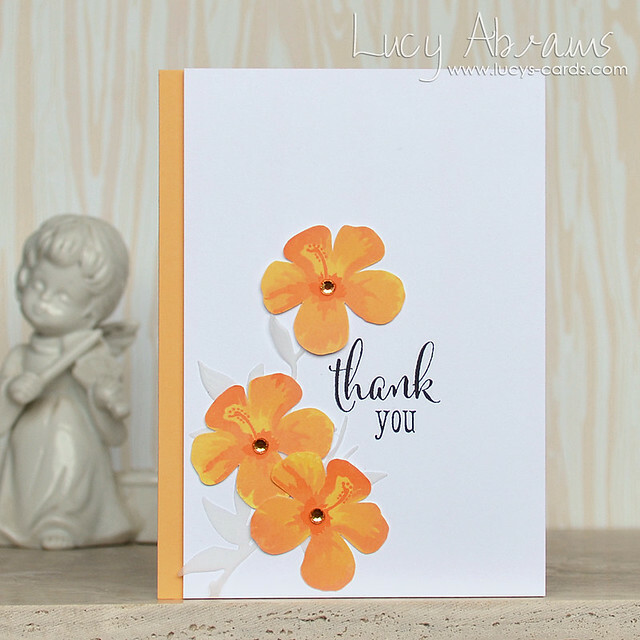 It features the Color Layering Hibiscus stamp set. This set is fab for creating beautiful multi-toned images. While searching for the perfect coordinating inks to use, I had a Eureka moment. :) The Ombre inks are the perfect complement to these stamps, as they are already beautifully coordinated! Here, I used the Butter to Orange ink. The sentiment is from the new Color Layering Happy Day Flowers set. Love this font… And I layered my flowers over a vellum Spring Branch for added detail. See how smooth that ink is… it's gorgeous! If you want to see my video, head over HERE to check it out. What a lovely card! So soft and pretty. I especially like the vellum branch and the sparkly flower centers. Say your card over at the Hero Arts blog, it's so pretty!! 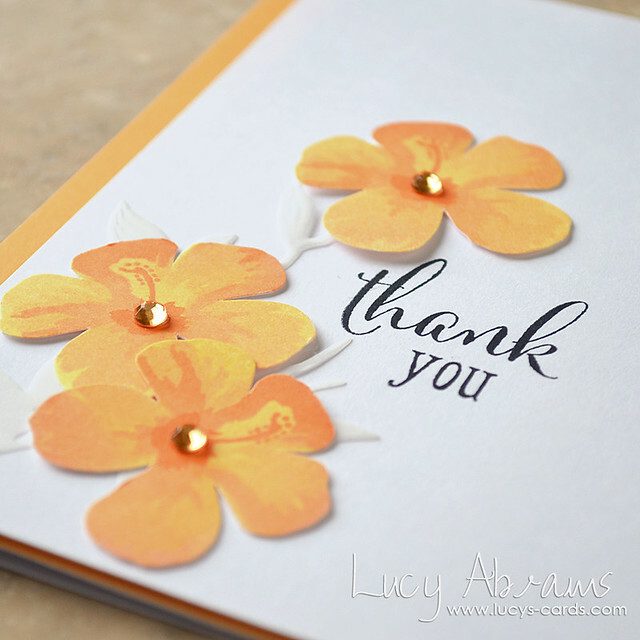 A very elegant card Lucy - super! Simply lovely and the video was too. Your work is always stunning. This card is very beautiful.